Pattyn’s father is dead. Now she’s on the run in this riveting companion to the New York Times bestselling Burned. Pattyn Von Stratten’s father is dead, and Pattyn is on the run. After far too many years of abuse at the hands of her father, and after the tragic loss of her beloved Ethan and their unborn child, Pattyn is desperate for peace. Only her sister Jackie knows what happened that night, but she is stuck at home with their mother, who clings to normalcy by allowing the truth to be covered up by their domineering community leaders. Her father might be finally gone, but without Pattyn, Jackie is desperately isolated. Blamed for her abusive father’s death and haunted by the loss of her boyfriend and their unborn child, Pattyn Von Stratten is on the run. Aboard a bus destined for California, she makes friends with Adriana, a young girl whose family helps her find work as a housekeeper for the Jorgensens, a wealthy ranch-owning family. Patty sets out to build a new life under a false identity, but she is overwhelmed by feelings of loss and guilt and questions her ability to build new relationships and establish a new existence. Back home, her younger sister is the sole person who knows what happened in the shed that day, but Jackie is haunted by troubles of her own. Her mother, for one, refuses to accept reality and the role Caleb played in the death of the girls’ father. Smoke, the much anticipated sequel to Burned, brings closure to one girl’s heart-wrenching journey. 1. Why is abuse (both physical and emotional) so prevalent in society? 2. Discuss what you would do if you knew a loved one was in an abusive relationship. 3. In your opinion, why do individuals stay in abusive relationships? 4. What responsibility do we have when we know a loved one is in a dangerous relationship? 1. The story opens with Patty having run away from home and Jackie in the hospital. What event has occurred? 2. Patty, bound for California, meets Adriana on a bus. Why does Adriana open her home to Patty and how does Patty prove to be useful to Adriana’s family? 3. Angel, Adriana’s brother, helps Patty secure a job as a housekeeper for a ranch owner. Describe the family and Patty’s feelings about working for them. 4. When Jackie returns home from the hospital, her mother begins making new plans for the family. How does their life change? Why does Jackie’s mother turn a deaf ear to Jackie’s story about Caleb? What reaction does Jackie have to her mother’s denial? 5. How does Angel help Patty adjust to her new life? What does he know about Patty’s past and why does Patty give him limited information about why she is on the run? How does she feel about Angel not having the right facts? 6. 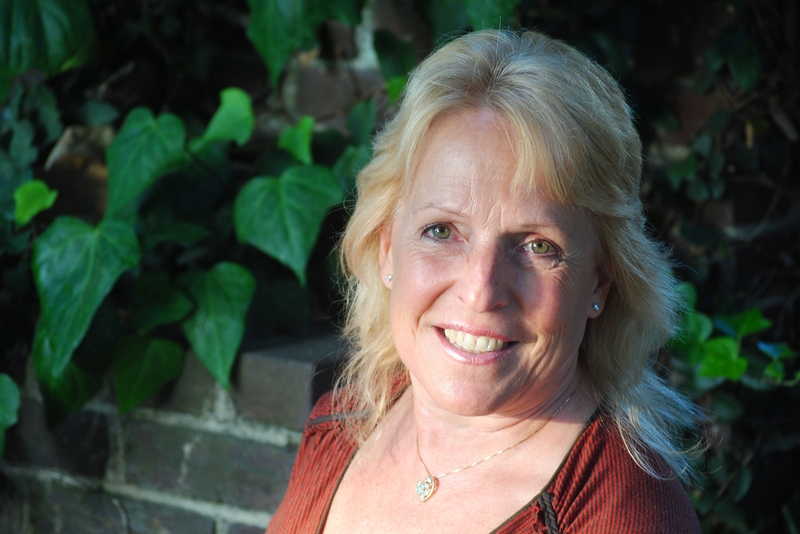 Religious convictions play an important role in the Von Stratten family’s responses. How does faith impact Ms. Von Stratten’s decisions and her responses toward her daughters? How does their religious upbringing impact the way Patty and Jackie respond to their lives? Support your answers with evidence from the text. 7. Patty nurses Maria and her baby, Teresa, through the measles. Maria and her family are poor, yet “María lives in hope of the future, a more precious gift than she knows.” Why might Patty hold this belief? Support your answer with evidence from the text. 8. As Patty becomes more acquainted with Adriana and Angel’s family, what does she learn about the life of migrant workers and the plight of undocumented workers in the United States? In what way does she feel connected to their plight? 9. Patty is surprised to learn that Adriana knows she is on the run for murder but has never approached Patty about what happened. Adriana says, “[G]uilt—is more punishment for you than jail.” Do you agree or disagree? Would this be true for everyone? Explain. 10. Patty believes that to embrace courage, two things are required: “unshakable faith that death is no more than a portal to some Shangri-la reunion. Or zero belief at all.” Is her argument accurate? Does she view herself as courageous? Does the author present her as a courageous character? What about Jackie? their mother? Cite evidence from the text to support your answer. 11. Jackie believes that truth is a product of perception. Explain what she means. Is her statement accurate? Why or why not? 12. Mr. Jorgensen and others are surprised to learn that Pattyn can tame Shoshone. What previous experiences with horses does Pattyn have? How does working with Shoshone bring Pattyn peace? 13. After returning home from the hospital, Jackie decides to focus on school and seeks out a tutor—Gavin. Is Gavin good for Jackie? Explain. How is he different from Caleb? What strengths does he have as a friend? 14. Ms. Von Stratten invites Caleb and his father to a holiday dinner and Jackie is outraged. Why does Ms. Von Stratten invite them and how does Gavin come to Jackie’s aid? 15. Patty goes Christmas shopping with Angel. In some ways, the holiday is satisfying, but in others it is not. What mixed feelings does she have? 16. Why does Ms. Von Stratten send Jackie to clean out the shed? Is this decision a good one? Why or why not? How does Jackie respond to the task? 17. Deirdre, the Jorgensens’ older daughter, is an angry and dangerous teen. What warning signs does Patty see and why doesn’t she share those with Deirdre’s family? 18. Describe the scene in which Jackie speaks up against Caleb in church. Why does Jackie speak out? What does her action say about her character? Is her mother’s response expected? 19. Who are Aunt J and Kevin and why does Pattyn go live with them in the end? What does the reader learn about their past? Is this arrangement in Pattyn’s best interest? 20. 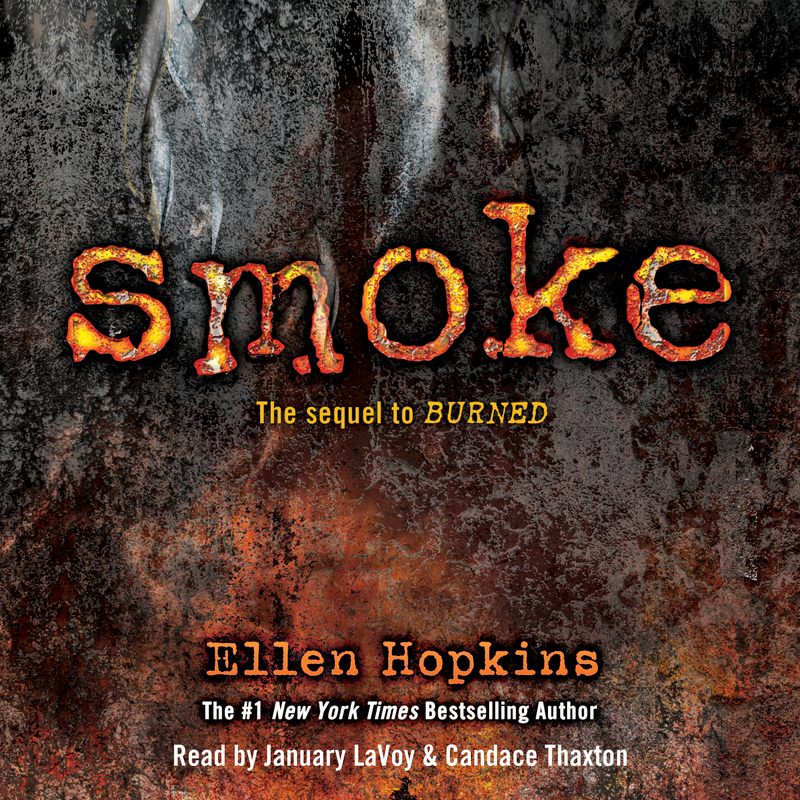 As a sequel to Burned, how is Smoke a fitting title for this latest Hopkins novel? 1. In addition to physical and emotional abuse, what other strong themes are apparent in Smoke? How do these themes evolve throughout the story? 2. Ms. Von Stratten seems worried about image and perceptions. Find a scene that supports such a fear. In what way is her behavior damaging to her family? Is she likeable? How does she serve to advance the plot? 3. Identify an especially compelling scene, rich with imagery, and discuss the language the author uses to make the scene effective. 4. Patty and Jackie both develop new relationships over time. What do Angel and Gavin have in common? Keeping their personalities in mind, describe a short scene in which Angel meets Jackie for the first time and Gavin meets Patty, or describe a scene in which Angel and Gavin meet. 5. Physical abuse is a central theme in Smoke. Using Hopkins’ suggested site, teensagainstabuse.org, as a starting point, gather five additional facts (not identified by Hopkins) from other websites or informational texts related to physical abuse. Share your points with a small group.